The food industry in the US and around the world is scrambling to adapt to a younger generation’s appetite for fresher, healthier foods. A college student in the 1980s may have been content living off instant noodles for dinner. Nowadays, a twentysomething is as likely to pick up a piece of wild salmon with quinoa and a fresh rocket salad from their local grocery store on any given night. It’s a shift that’s having ripple effects throughout the food industry as manufacturers and retailers scramble to adapt to a younger generation’s appetite for fresher, healthier foods. But their efforts aren’t creating a more sustainable industry as healthy convenience meals are often just as heavily packaged as processed products. Sales of fruit and vegetables, meat and seafood, and prepared deli foods have risen from $257bn (£206bn) in 2009 to a forecasted $315bn in 2016, according to a report from London-based market research firm Mintel. The shift is taking place because consumers are changing so much, and fast, says John Stanton, professor of food marketing at Saint Joseph’s University in Philadelphia. And it’s not just any consumer – millennials, those born roughly between 1982 and 2004, are driving the growth. They favour fresh, minimally processed food that is easy to prepare, says Stanton. A big factor is their unlimited access to huge amounts of information by way of the internet, he says. 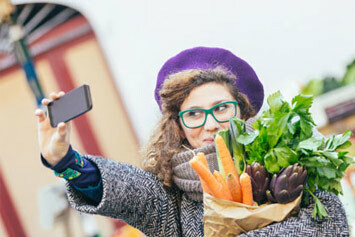 Millennials are exposed online to issues such as sustainable sourcing and the health effects of certain foods, and they are influenced by what their friends and public figures say on social media. “They demand much more information about products, the cost and the materials involved,” says Stanton. According to a survey from food and beverage market research firm Hartman Group, 30% of millennials said organic ingredients were “extremely important” compared with 22% of the older, baby boomer generation. They also favour healthy convenience foods, such as prepared grocery store meals and meal kit services, which send customers pre-cut and measured ingredients to make dishes at home. According to the same survey, 39% of millennials said they had tried a meal kit service at least once, compared with just 8% of baby boomers. Sales for prepared deli foods, such as grilled chicken breast or wild rice salad, are also up, from $8bn in 2009 to $11bn in 2014, according to the Mintel report. Retailers are responding by expanding their fresh food and prepared meals sections, and cutting down on store size to better suit millennial consumers, many of whom live and work in cities. In the US, both Target and Wal-Mart have recently opened hundreds of stores that measure around 40,000 sq ft, a significant downsize from the typical 100,000 sq ft store. Cutting down on store size makes sense, since modern consumers are no longer buying their groceries at just one shop, says Laurie Demeritt, CEO of Hartman Group. At least 70% of US consumers are shopping at five or more stores a month, and 50% visit two shops per shopping trip, she says. Some retailers are even changing features that seem integral to the grocery store experience. UK retailer Tesco stopped selling sweets and chocolates at its checkout counters after a survey found that two-thirds of its customers said removing candy from checkouts would help them make healthier choices. The growth of healthy convenience foods such as meal kits and freshly prepared meals, both from grocery stores and delivery services, is mostly a positive thing for health and sustainability, says Hans Taparia, an assistant professor at the New York University Stern School of Business and co-founder of an organic food business. Meal kits in particular tend to be more nutritionally balanced than TV dinners of the past, and they often use more sustainably grown produce and meat, says Taparia. US-based Purple Carrot, for example, offers only plant-based meals, while Sun Basket, an organic meal delivery service, uses meat free of antibiotics and artificial hormones…..